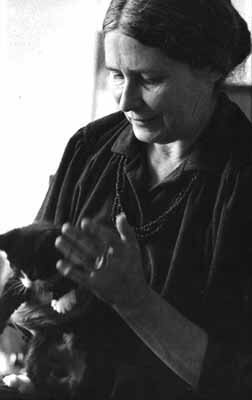 Useful Things, Beautiful Things: Book Review - Doris Lessing "On Cats"
I think it's safe to say that I have a soft spot for cats. I wrote here about a neighbourhood cat who adopted us and here about getting our own cat. There's something about the vulnerable yet independent nature of cats that intrigues me. Back in December, when I was Christmas shopping for my boyfriend, I absolutely did not buy this book for myself. No, I really did buy it for him and just happened to borrow it later. Yes. That is how it happened. Anyway, I digress. Doris Lessing has always been one of my favourite authors after I read The Grass is Singing so I was interested to see how she approached such a potentially schmaltzy subject. It's a tough read, the polar opposite of Lolz Catz. Doris Lessing is honest, brutally so at times. *Spoiler alert* There's a passage at the beginning of the book where she describes the culling of a large number of feral cats on the farm where she was brought up. This has been mentioned in many disgusted comments on Amazon etc but although I can't say I enjoyed reading it, I appreciated the fearless self examination. This book is a trilogy of three stories - Particularly Cats, about her childhood growing up on a farm in Rhodesia as well as Grey Cat and Black Cat who shared her home in London; Rufus the Survivor (which I don't mind admitting broke my heart) and The Old Age of El Magnifico, the story of the final years of the last cat to share her home.